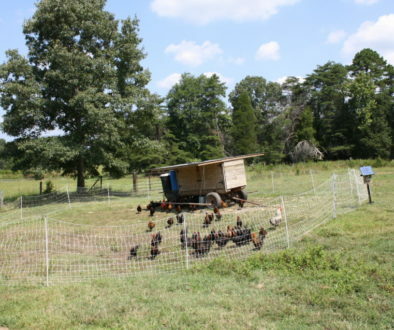 Our family uses herbal medicine as our daily health care. We do get sick a few times a year, but it is rare that a sickness knocks us down to a nonfunctional state. Over time people that are around us have begun to ask for our secret to staying healthy. Truthfully, it all begins with our view on everyday health and wellness more so than it does on our sick care routines. My intention in writing this post on nutritional and herbal care for colds and flu is to give others some simple, safe, and healthy ideas for everyday living. As well as some simple remedies to help themselves have fewer illnesses with hopefully a shorter duration should they become sick. 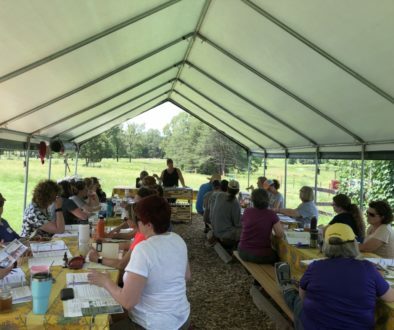 Forrest Green Farm also offers a fully detailed workshop on Preparing For Cold & Flu Season with much more in depth detail on the use of herbal treatments for cold symptoms, flu symptoms, and complications associated with both. The average healthy adult may get sick 2 to 3 times a year. If you get sick more than that, then it is definitely time to take a closer look at your eating habits and lifestyle. Please remember that children usually get sick more often than adults. This is how they build immune systems that become stronger. So what are colds and flu? They are infections of the upper respiratory tract. Areas most affected are the eyes, nose, throat, and head. Colds are short lived viral infections, symptoms can be runny nose, sore throat, coughs, and mild aches. The flu comes on very suddenly with harsh coughing, fever, body aches, extreme fatigue, and sometimes a sore throat, diarrhea or vomiting. The flu lasts 7 days to a couple of weeks. Pneumonia is a complication of the flu that can be dangerous or even deadly. We “catch” a cold when conditions in our bodies are right for that virus to survive and thrive. Both colds & the flu are signs from your body that something in your system is out of balance. The best defense against a cold or flu is to ensure that all your body systems are operating at their optimum levels, especially the immune system. We need to make an extra effort to stay nourished by eating a healthy diet, getting proper exercise, embracing the darker times of winter with some added rest, and especially managing our stress levels. In the fall and winter, as the wheel of the year is turning and our energy wanes with the diminishing sunlight, many people find themselves eating heavier foods and less healthy meals. They supplement with caffeine for energy (which is false energy), get less rest, less exercise, and feel stressed out. This is a recipe for sickness. 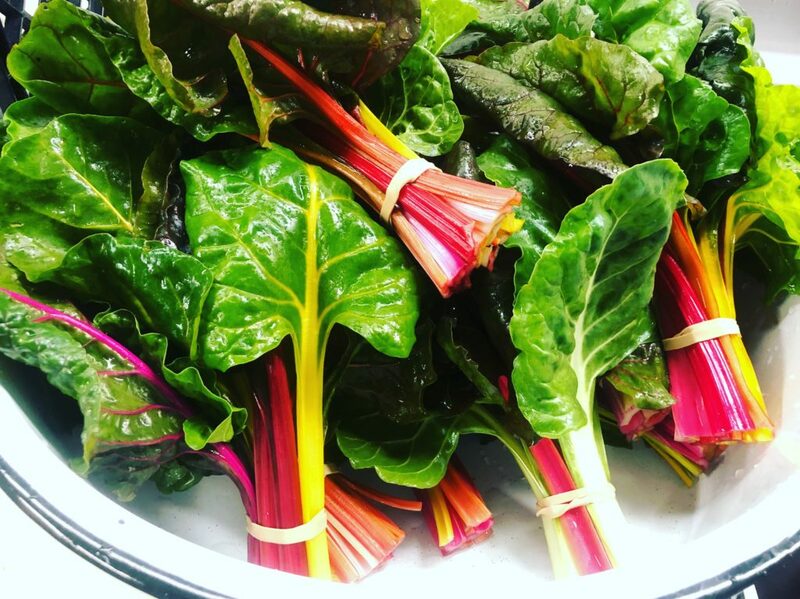 Here are a few basic food and nutritional boosts that you can start on your journey to maintaining your health during the prime cold & flu season. Eat a rainbow diet full of fruits and vegetables. Avoid sugary foods and the indulgence of too many starchy breads and pastas. Take a Vitamin D3 supplement because it plays a vital role in our immune system function and for many people Vitamin D levels fall below optimum levels during the winter months. Consume bone broths often because they are nutrient dense, healing, and nourishing. 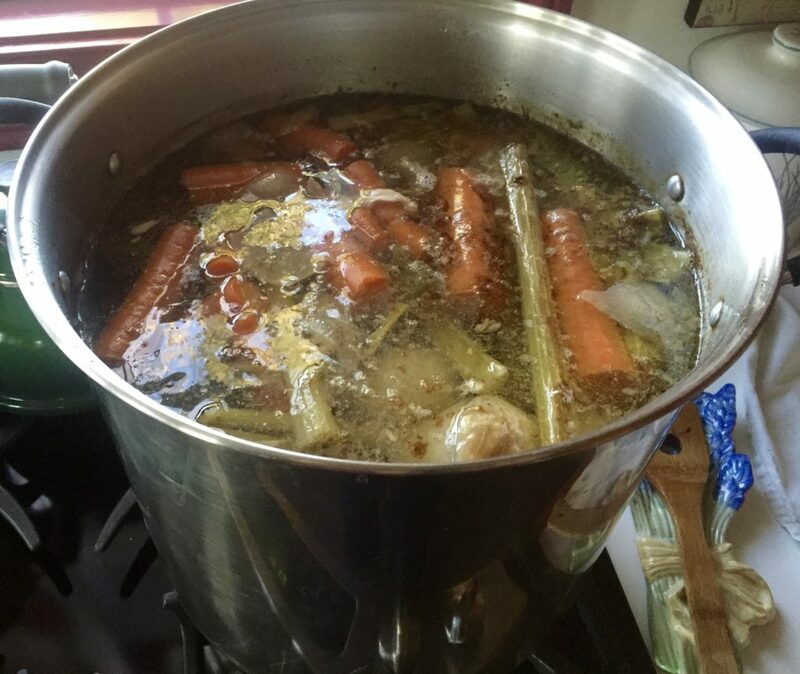 We have some recipes and more information about bone broth benefits as well as herbs that you can add to your broth for medicinal support on our blog post “Nourishing Bone Broth”. 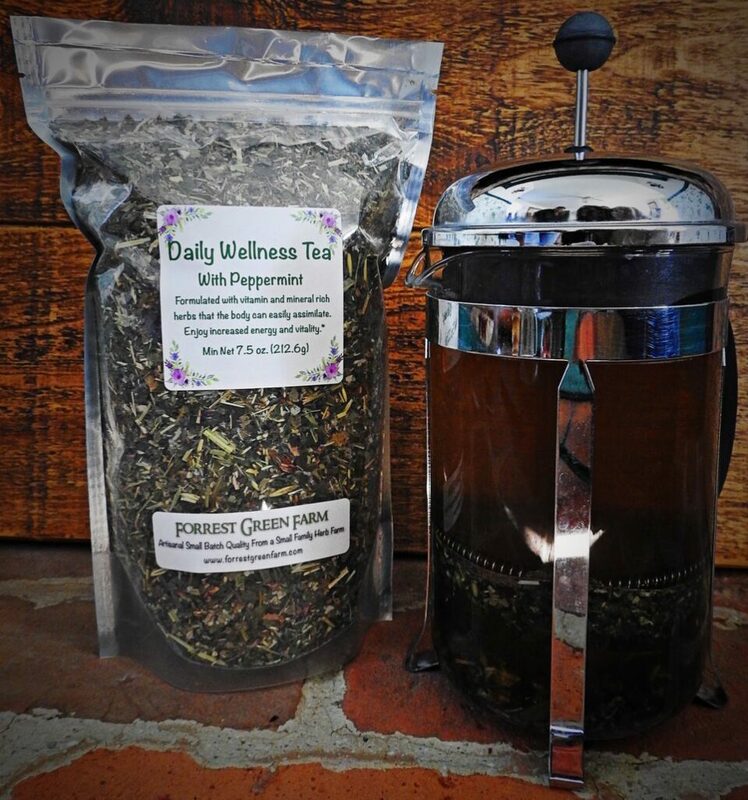 Drink nourishing herbal tea infusions made with herbs that are known to be rich in vitamins and minerals such as nettle, oatstraw, raspberry leaf, red clover, burdock root, and horsetail. 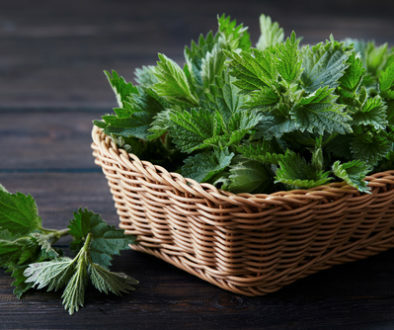 Use the dried herbal plant material, (1 tablespoon to 1 cup of water) and steep for a long period of time (around 4 hours or overnight) this allows for the maximum extraction of vitamins and minerals from the plants in a form that our bodies recognize and can more easily assimilate than a synthetic vitamin. Learn more about NHI’s on our blog post “Nourishing Herbal Infusions”. Eat fresh garlic! Garlic contains a compound called allicin, which has potent medicinal properties. Studies have been done on garlic’s ability to reduce the duration of the common cold. It is activated when freshly peeled garlic comes into contact with oxygen. An old timey tonic that many people still use today to ward of colds and keep their circulatory systems healthy is to crush garlic cloves, cover with some apple cider vinegar, lemon juice and a little raw honey. Let infuse for an hour or so and then store in the refrigerator for long term use. Typically, one would consume 1 or 2 tablespoon daily. Here are some herbal remedies that you can use for prevention of colds & flu or at the early onset of symptoms. Elderberry is quickly becoming one of the most well known herbal remedies for colds and flu. It is a superb antiviral herb that stimulates the immune system. Take elderberry syrup as a preventative if you have been exposed to people with illness or if you begin to feel symptoms yourself. 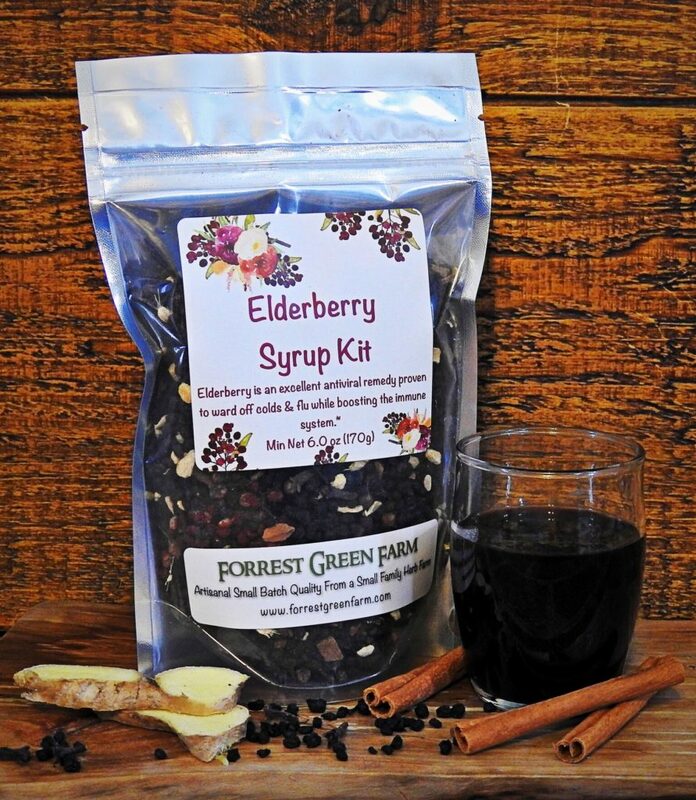 Find our easy to make DIY Kit here, FGF’s Elderberry Syrup Kit. 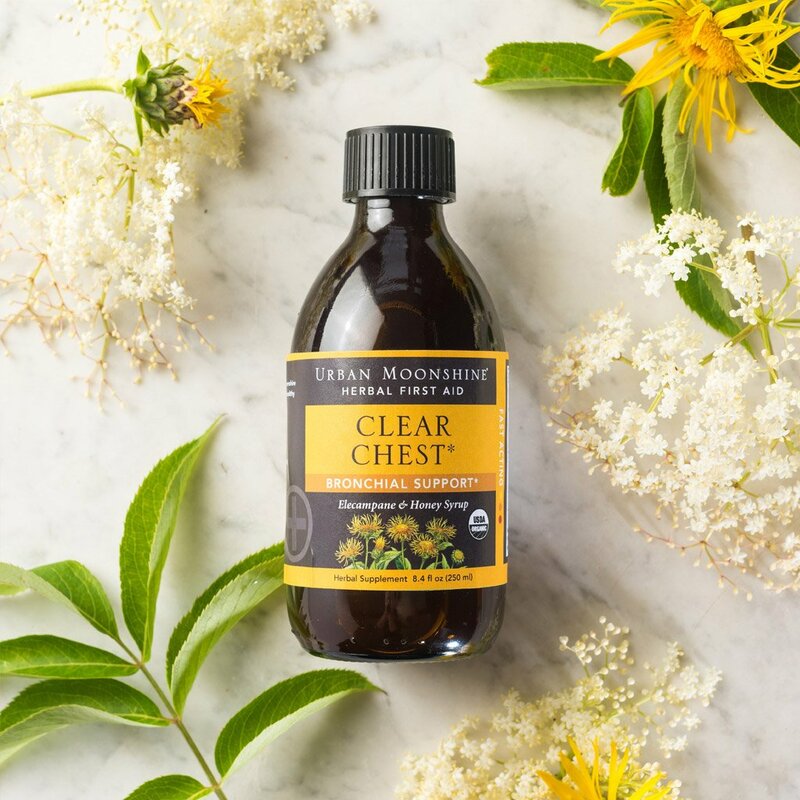 Clear Chest is a fast acting bronchial support wellness syrup. It really is magic in a bottle for coughs and stuck lung congestion. Helps keep your lungs clear while giving them a coating of moisture to soothe. Ginger is an herb with a long history of being used for the treatment of colds and flu and for its strong antibacterial properties against food born pathogens. It is also gentle enough to curb nausea and the upset stomach/vomiting. Ginger is a stimulating diaphoretic that warms the core while promoting outward circulation to pull excessive heat out of the body. 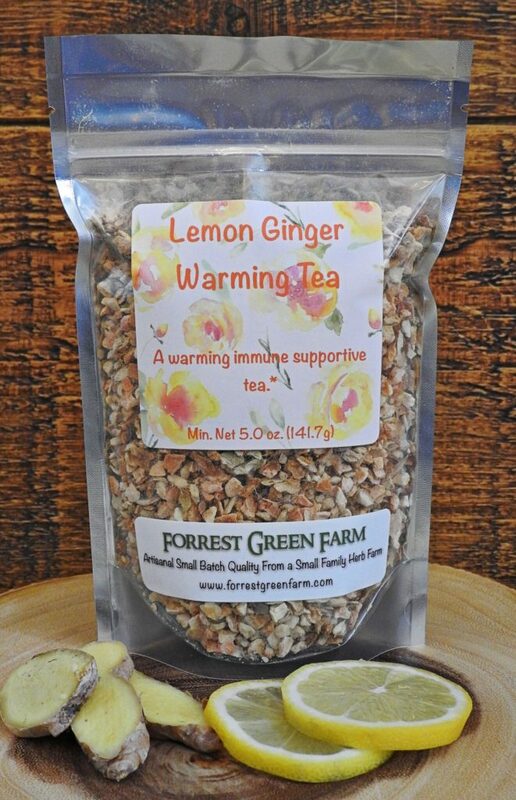 For upper respiratory infections, drink Lemon Ginger Warming Tea. Adding ginger into your daily cooking is an awesome way to ward off illness and add great flavor to your cooking. 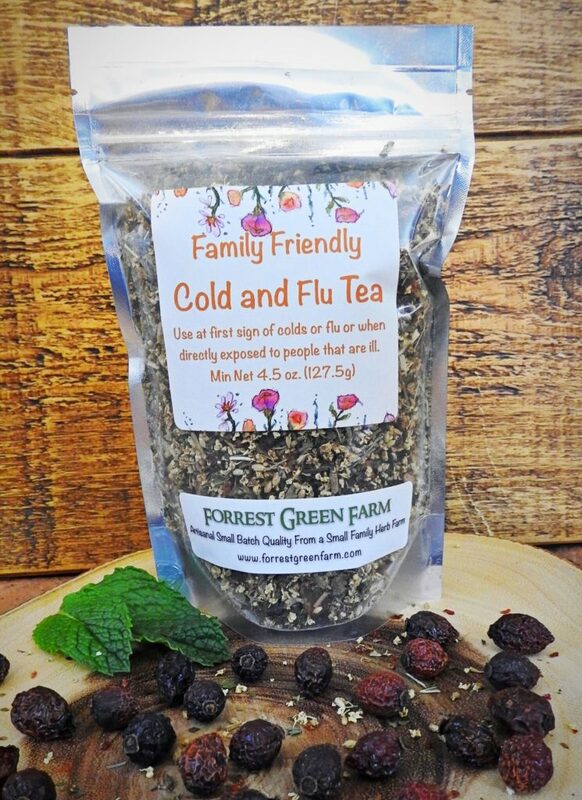 Drink Family Friendly Cold & Flu Tea at the first signs of colds or flu or when directly exposed to someone who is ill. Great for adults and children and tastes yummy. Formulated with elderflowers that are antiviral, yarrow that can help bring down fevers, rose hips which are high in vitamin C and peppermint which aids in digestion. 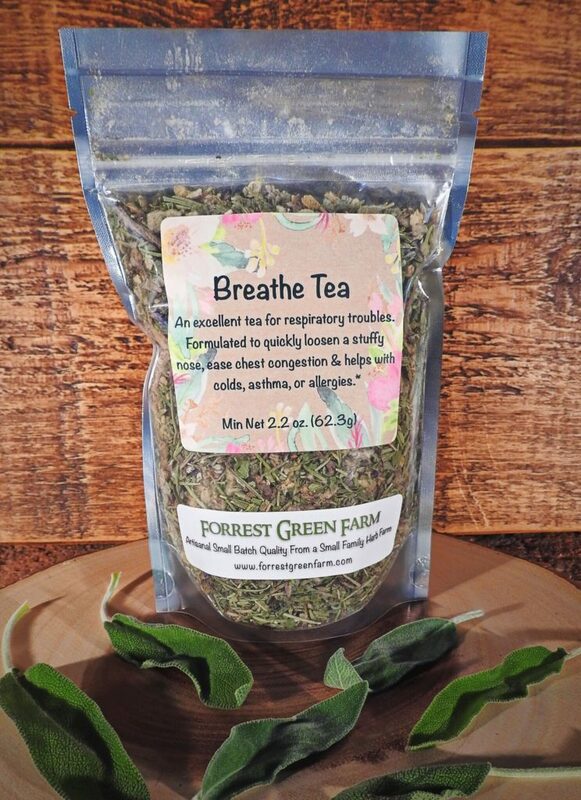 Breathe Tea is an excellent tea for respiratory troubles. Formulated to loosen a stuffy nose, chest congestion, and soothe a sore throat that is associated with colds or allergies. 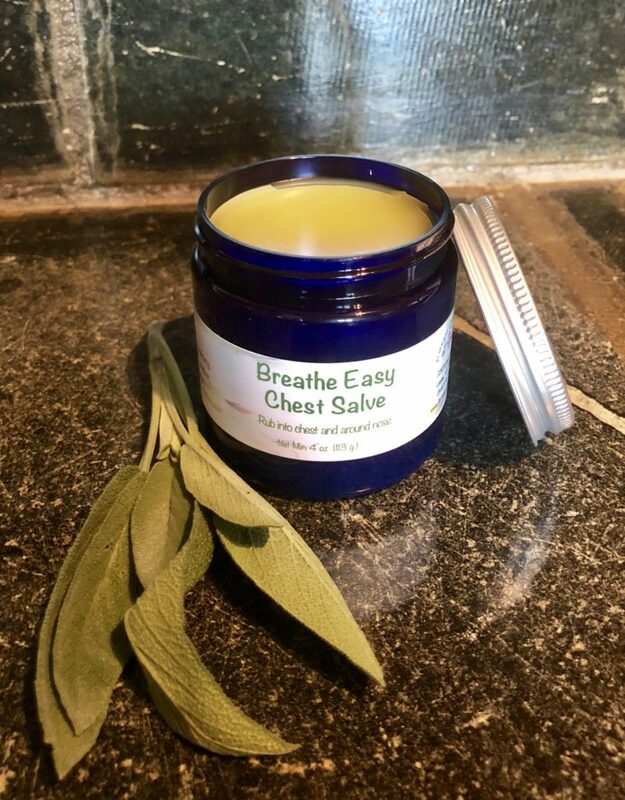 Breathe Easy Chest Salve can also be helpful during respiratory troubles. Rub this herbal vapor rub into your chest and around your nose. It will open up the respiratory pathways helping you breathe easy and relax while feeling relief from congestion. 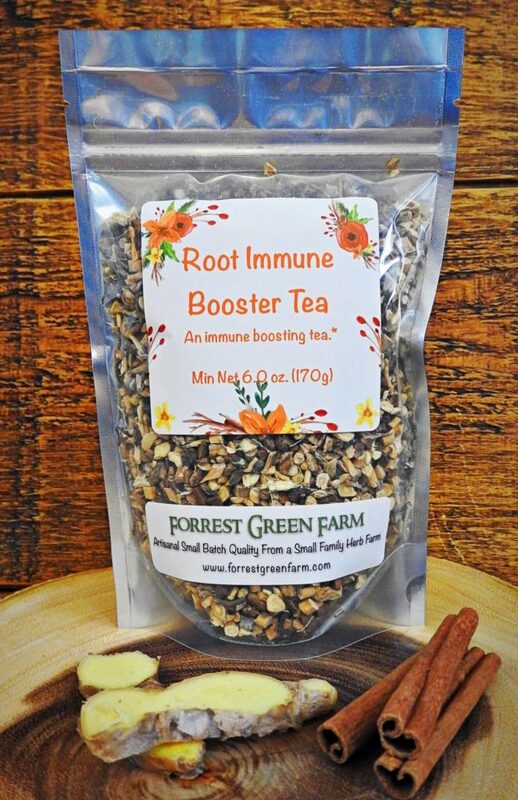 Root Immune Booster Tea is specially formulated to be used as a tea or decoction to help boost your immune system. It has an earthy cinnamon taste and is one of our best selling winter teas. Echinacea is an herb that you frequently hear about for use at the first sign of infections because it is an excellent immune stimulant. It can be a wonderful ally in boosting the white blood cell count and supporting the immune system to better fight off an infection in the body. There are many scientific studies that boast the use of Echinacea against staph and strep type infections. I recommend taking Echinacea in tea or tincture form (I’m not a big fan of taking herbs in capsules due to quality concerns). 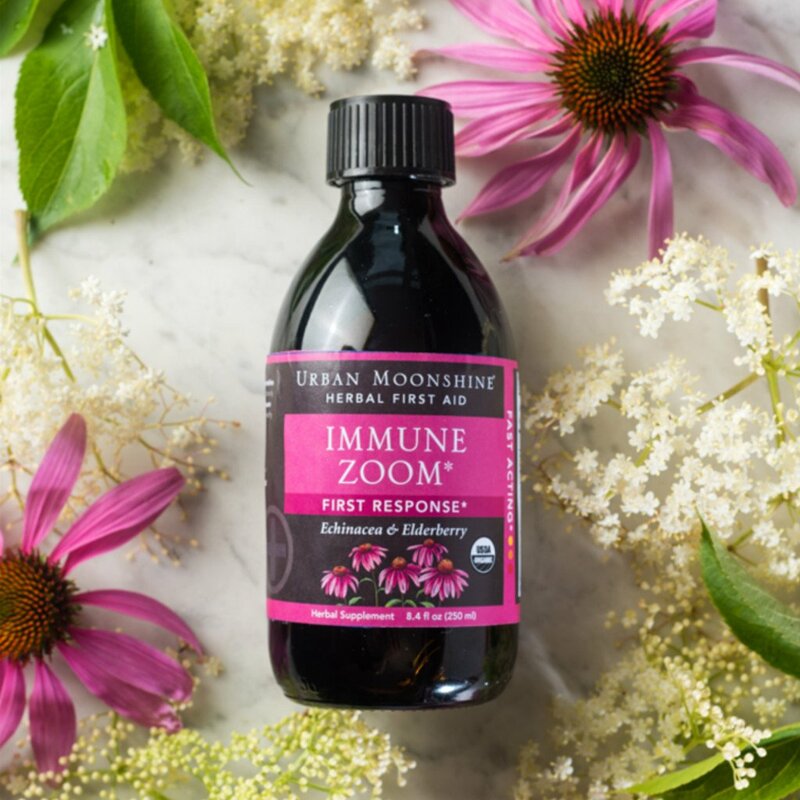 Immune Zoom is a good formula with Echinacea and Elderberries to start at the first sign of illness or to use as prevention against illness. Because Echinacea is an immune stimulant, it is contraindicated for those with autoimmune diseases. These folks would do better using astragalus root. 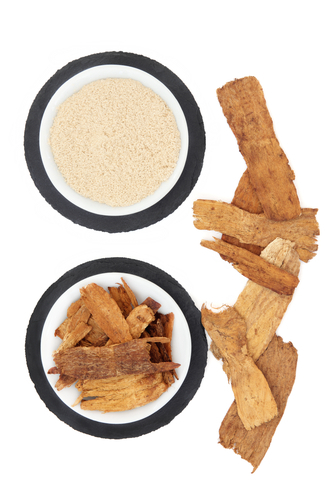 Astragalus Root is an immune enhancer, restorative, adaptogen, antiviral, and enhances the function of lungs, spleen, and digestion. It is easy to use by just adding it to soup broths or making it as an infusion or tea. It will help repair a depressed or damaged immune system with little to no side effects. 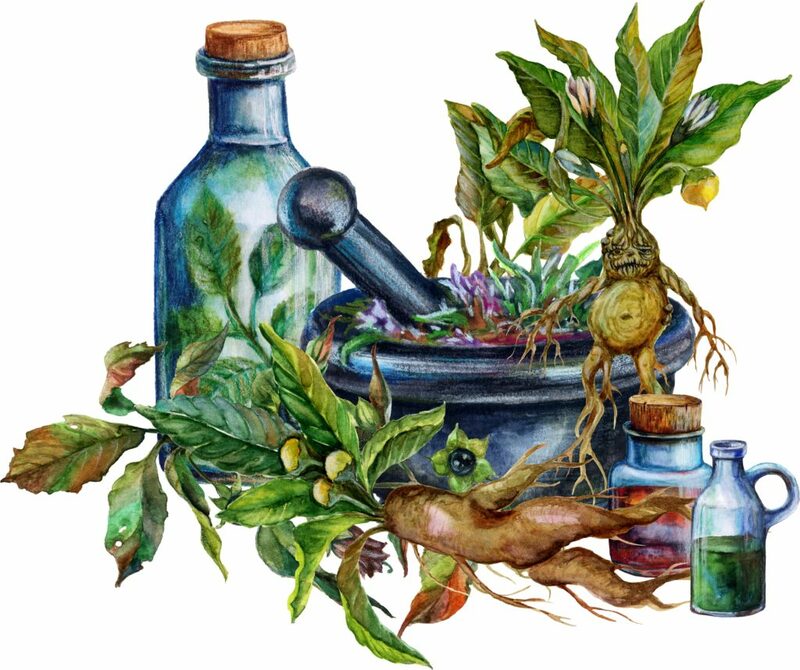 There are many great medicinal herbs to use for the relief of symptoms such as coughing, fever, ear infections, and all the many other nuisances that come along with colds and flus. We cannot possibly cover them all in this post and recommend trying a few herbal remedies this cold and flu season to see how you like the results. Don’t forget the power of preventative medicine! Taking care of your body, keeping it in balance with the proper nutrition, exercise, and rest are all vital in your ability to ward off colds and flu or to quickly recover should you be afflicted with an ailment. *This information has not been evaluated by the Food and Drug Administration and is not intended to diagnose, treat, cure, or prevent any disease. We recommend that you consult with a qualified healthcare practitioner before using herbal products, particularly if you are pregnant, nursing, or on any medications.